Everyone knows that ginger is the most used healthy spices around. But do you know these unique uses on your morning table, on your lunch table, on your dinner table, or on your snack time? 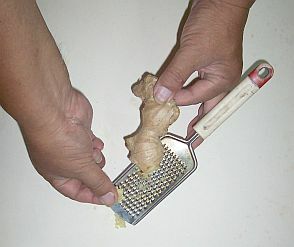 A kitchen grater and ginger. You can carry them all the time. How about to grind a ginger in the morning and put it into your coffee or tea? How about to place a pinch of ginger to your toasted bread? Doesn't it taste good? How about to your spaghetti? sandwiches? rice porridge? or even whisky? 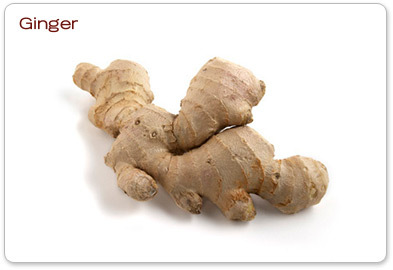 A pinch of ginger fits to almost all kinds of foodstuffs you take daily, and it is healthy. About 2 years ago, I noticed our two Korean friends who used to grind ginger and always placed it on their meals. I can also remember about 15 years ago in Thailand where our Thai friends were doing the same. I introduced about a pinch of ginger on our diet to our friends and relatives in Japan. You can see that its idea is now popular even on media as a healthy way of eating. Why don't you try it? It looks and sounds great to me.